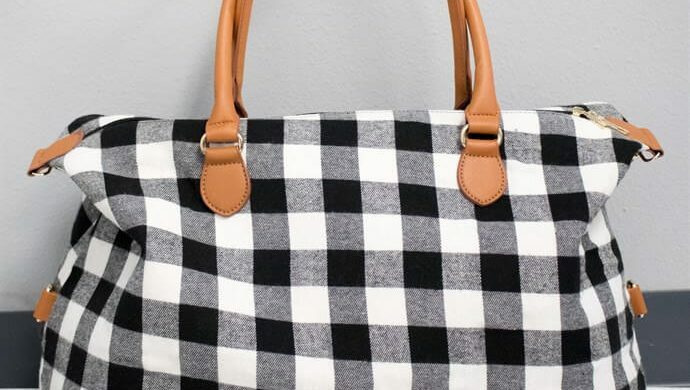 Travel in style with this buffalo plaid weekender bag. This comes with removable shoulder straps and the most beautiful hardware. Perfect size to fit all your favorite clothing items and necessities, AKA dry shampoo!